Avatar: A Refutation of the Green Movement? While everyone is talking about Avatar and how it is effectively the new green manifesto, I’d like to point out that Avatar can be construed in a different way. 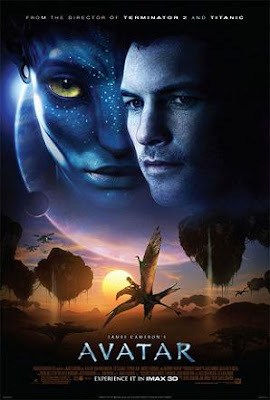 In Avatar, on the moon Pandora, the environment is such that there is super-organism (Eywa) which is the result of all of the plants being connected to each other. The animals, too, can connect into this super-organism and communicate with it by patching in with special receptors they have for this task. This effectively means that the world of Pandora is one where all living organisms are connected. So, Avatar asks the question “what if all animals really were connected and Mother Earth was real?” It then goes on to point out, perhaps correctly, that if this were the case we should show deference to this super-organism that is the source of all life on the planet. Now here is where the film can be understood differently. While we can grant that in the hypothetical situation, we should reconsider our ethical obligations to the planet, plants, and animals, this only makes sense where the hypothetical situation is true by virtue of the fact that such a super-organism does exist. Unfortunately, on Earth, the hypothetical is simply false. This means that we do not need to reconsider our obligations to plants and animals because they are not connected in this way. In fact, since we’re all separate organisms, it’s not clear that there could be any basis for any obligation on our part (much of the green argument is based on this kind of claim). Avatar does a brilliant job of pointing out this lack of connection by showing what it would look like if it were true and it looks nothing like the world we know. So, although Avatar has been called a manifesto of the green movement, it’s clear that that’s not true.